Every law firm is different and each one typically acquires new clients in its own unique way. Some still use direct mail to gain clients, others rely on a strategic web design and a lot of firms that have been practicing for a long time are lucky enough keep getting a steady stream of referrals from past clients. 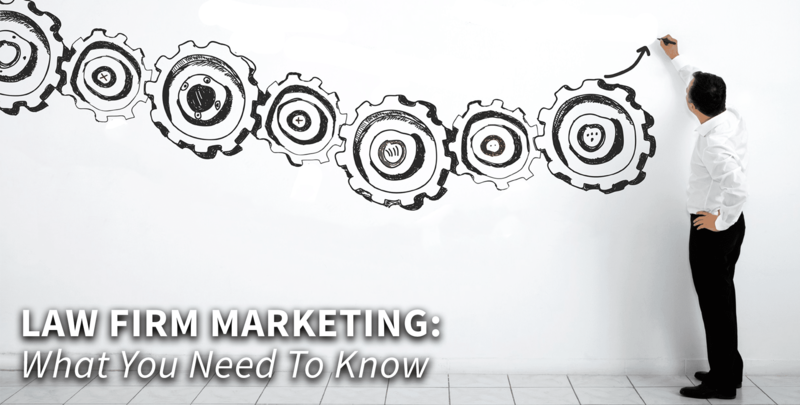 Whatever your situation may be, listed below are five things that you should know about Law Firm Marketing in todays market. If you want more qualified prospects, but are not investing into Google Adwords, you are missing out on a lot of potential business. Over 160 billion Google searches are made on a monthly basis and on average 41% of clicks on Google go to the top three paid ads on the search results page. Google ads are an excellent way to ensure that your practice is the very first law firm that prospects see when they Google for particular legal search terms. The reason behind this is that PPC Advertising, though more complex, is extremely targeted. Print, email and text automation come under the heading of marketing automation, and are a quick and effective way of driving increased conversions, boosting leads, and ultimately generating more income for your firm. Listed below are the top three benefits that come along with implementing automated print, email, and text into your Law Firm Marketing. Your Google Maps business listing is the foundation for all your Local SEO success. Without one you’re missing out on wealth of new opportunities to connect with new clients. Google Map Listings make it easier for clients to find information regarding your business online, including your contact info, office directions, and timings – all across different devices. When clients search for legal-related terms, the local search listings are the ones that prevail, which is why they are incredibly important to have. People have learned to trust search engines such as Google, and if your law firm is resting at the top of a list that Google’s algorithm has deemed best, then there is no better validation than that! 5-star reviews are vital to your firm’s Google Map Listing ranking. Google’s doesn’t just want to deliver the most relevant results for local searches they also want to deliver the most reputable. In addition to that, when someone scans the search results for a local service in Google, the business listings that include positive reviews present higher credibility and always receive more clicks. Any links also known as exit paths on a landing page for an e-book download or a contact form are an opportunity for a visitor to leave the page. The entire idea behind creating a landing page is to put clients in a one-action environment where they are focused on doing one thing – filling out the form! If you have put links to other pages, interesting articles, or other websites, you are mainly encouraging them to abandon the task at hand. Even though internal linking is an integral part of your SEO strategy, it shouldn’t have any business being on a landing page. If you have any queries or would like to learn more about Law Firm Marketing, feel free to reach out to one of the marketing specialists at Gorilla Webtactics by calling 612-470-9877 M-F, 8-5. You can also schedule a meeting at your convenience with us online for a free consultation.